E. Dake Plumbing & Heating is proud to serve the Mentor on the Lake community! About Mentor on the Lake, OH - Happy to be your hometown Heating & Air Conditioning Contractor! The city of Mentor-on-the-Lake began as a township of close neighbor, Mentor, Ohio. As more people began to move to this small settlement in the 1920’s, it grew large enough to be established as a village. In the 1971 census, Mentor-on-the-Lake had enough citizens to be officially chartered as a city. Although it was once identified as a destination for local tourists and people looking for a weekend away from larger cities, Mentor-on-the-Lake is a city with an abundance of local businesses, permanent residents, and activities for everyone. The weather in Mentor-on-the-Lake is perfect for enjoying quality time with family and friends. One of the most enjoyable activities for those in the Lake County area of Ohio is to enjoy some of the beautiful beaches on the southern shore of Lake Erie. Some of the most popular beaches include Mentor Beach Park, which has 13 acres of park and beach space and includes playgrounds and picnic spaces, and Overlook Beach Park which is much smaller, but contains sandy beaches and a two story observation deck. Because of its small size, Mentor-on-the-Lake shares many of its attractions with nearby cities and towns. A few of the most popular activities for residents of Mentor-on-the-Lake include the Fairport Harbor Marine Museum and Lighthouse, a site that has been helping ships and sailors navigate the Great Lakes waters since 1825, and the Headlands Breakwallwhich is a set of trails and rock gardens that lead to the coast. 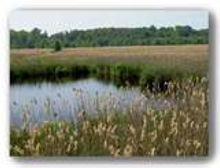 Also available is the Mentor Marsh State Nature Preserve, a Natural National Landmark managed by the Cleveland Museum of Natural History.